Miyazaki Beef is 100% purebred Japanese Wagyu from Miyazaki prefecture. Only the highest quality cattle from this region can be dubbed "Miyazakigyu". "Wagyu Olympics" and boasted the "Champion cow" in 2007 and 2015. They beat the beef from Kobe and Matsuzaka and became the overall winner. 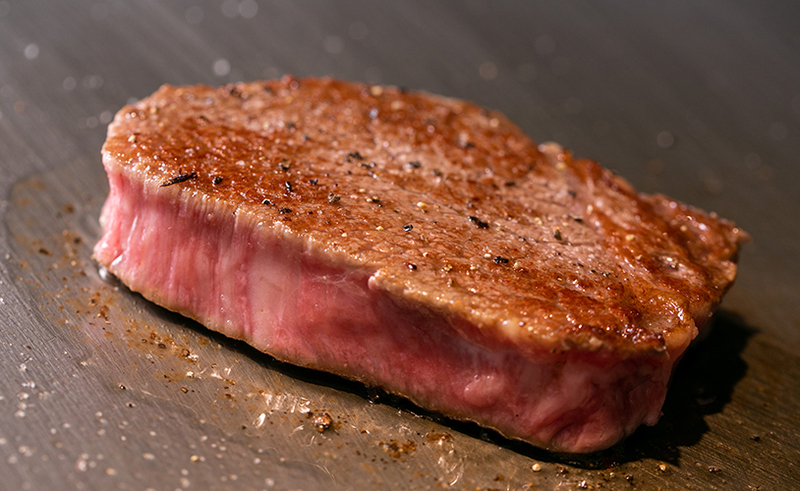 Miyazaki Wagyu has been called "Japan's Number One Beef" ever since. © TEPPAN TOYOSHIMAKE. All Rights Reserved.